A long harsh winter and above average rainfall this spring has put a major dent in Montana’s pheasant populations. MT FWP breaks it down by region. Though as you can see, this young lady in the photo certainly knows where to find them. Upland bird numbers in general are down across the state but our native sharptails and mountain grouse fared much better. I guess Montana natives truly are a tougher breed. I was stuck on a plane and didn’t make it out for the pheasant opener but have talked to some of my more fortunate friends; fortunate to just make it afield and fortunate enough to find some of the long tailed birds. News from Nine Pipes just north of Missoula - they have pheasants, but it’s real spotty. A friend of mine hunted three days near Fort Benton and shot three limits on Block Management and public land. Another friend was skunked just outside of Lewistown. 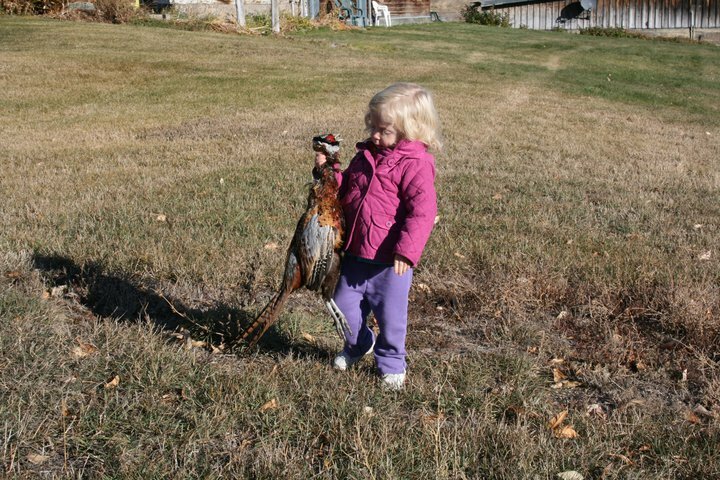 Finally, a friend got into birds just outside of Billings…lots of pheasants with a young dog. What could be better than watching the pup you trained take to the field and successfully retrieve, point and flush? Sorry, no GPS coordinates for any of these, as I want to retain these friendships. So what does this tell me? It’s about the habitat! In this down turn year it’s vitally important to focus on better than average habitat and get away from the crowds. That means walking, scouting and putting some miles on your boots. It means providing cover, feed and giving birds enough space to grow and breed. It means investing in programs like the Conservation Reserve Program (CRP) and Grasslands Rserve Program (GRP), and other conservation programs in the Farm Bill that benefit both private land owners and wildlife. It also is the way that Montana is moving to manage its upland game birds. If you're looking for ways to get out in to the field, there are a number of options for the public land hunter. Here's A good place to start. Another is your local MT FWP Regional biologist. Most can be a plethora of information. Lastly, Block Management maps went on line last year and offer a unique opportunity to hunt private land. it’s a little clunky but provides an alternative to getting mailed three maps at a time or needing to stop by the regional office. Mostly though, get out early and get out often! This is awesome! Thanks for the links!